With very high technology, Colombia made an image of the ship that is 600 meters deep. They look small, but there they are. It is a good number of cups of Chinese origin. Around it, the cannons of the San José galleon, sunk by English ships on June 8, 1708, near Cartagena, in the Caribbean Sea. Beyond, clear amphoras can be seen, one of them from Cusco. The image is the result of putting together 6,000 photos taken 600 meters from the bottom of the sea. Each one was made with an autonomous submarine that crossed each object to a height of 80 centimetres, on the bed of the sea. It is the first time that you can see the whole boat. On the seabed are these archaeological remains that Colombia wants to rescue with an APP (Public Private Partnership). The photos give an idea of how the boat was. Sunken, without its bow, apparently destroyed by the cannon shots of the attack. To date, the tender is open for an additional originator of Maritime Archeology Consultants Switzerland AG to compete. The tender will close on May 25 next. The winner must do the exploration, intervention, preservation and dissemination and use of what Colombia considers to be national heritage, which may be all that is extracted. “Rescuing him is not an easy task,” says Ernesto Montenegro, director of the Colombian Institute of Anthropology and History (Icanh). Although it will be like an excavation on dry land, the fact that it is about 600 meters from the sea surface, in the midst of absolute darkness, and where the human being can not go, forces us to use state-of-the-art technology. As in any excavation, the area will be surrounded. And in turn, space where most of the objects are, will be divided into ten sub-areas, “to obtain the most relevant archaeological information on the site and optimize the methodology necessary for the investigation”, reports Montenegro. In each one, we will work removing the sediment with great care and collect the objects with robots. Each of the approximately 10 million pieces will be placed in a vault with gel to prevent deterioration. Then they will go to the ship and from there to the laboratory. “Here we will determine the singularity and the representativeness of the objects that are recovered. There are also factors such as repetition (of coins and objects), the state of conservation and its scientific and cultural importance, “says Mariana Garcés, Minister of Culture. Garcés explains that this is the most ambitious project that the country undertakes in the field of science. As for the profit for the originator, this is based on what can be obtained from what is not heritage, “which will be up to 50 percent of the value of the goods that do not constitute cultural value”, reads a document of the Ministry. According to what the National Heritage Council defines what is of cultural interest, will be accommodating the percentages of the originator, even, as Juan Manuel Vargas says, the legal department of the Ministry, “could be nothing and only get the use of the museum for a period of three years “. The value of the project amount is 197,727’182,757 pesos. The Minister of Culture says that this adventure began when an anthropologist handed over to President Juan Manuel Santos, on a trip to the United States, a map with possible coordinates. Santos, who in his youth was part of the Navy, sent the archaeologist to the Ministry of Culture and after a meeting told him that he should get a company dedicated to this purpose to determine if it was San Jose or not. 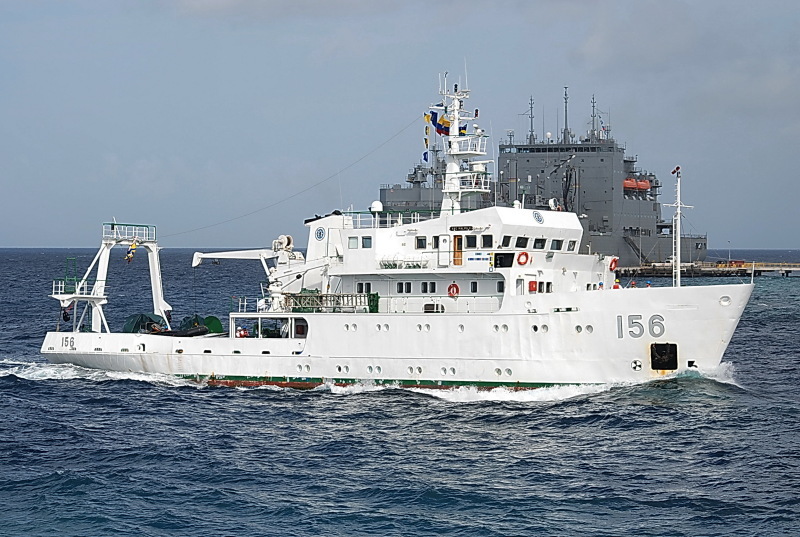 In 2015, from the vessel ARC Malpelo, marine records were made in defined areas with an underwater autonomous vehicle and in different frequencies, through various studies to determine the existence of objects, especially artillery. These studies were conducted in an area of 20,000 square meters. Four sites of concentration of archaeological materials were determined. After May 25, when the additional bidders are known to the originator, who will accompany Colombia in the project will be determined. Voices have been heard that have entered into a discussion of whether the way in which the ransom will be done is the most appropriate. The Unesco Sea Convention says that a sunken ship is of the country of which its flag is and that recommends conservation in the place where it is. But Colombia is not obligated because it is not a signatory to this treaty. Legally, the most recent decision is from the Constitutional Court, last February, in which it ratifies that “the pieces coming from the alleged finding of the San José galleon that is declared submerged cultural heritage belong to the Nation”. And now, finally, it is appreciated as a whole. Tourists Surprise Giant Black Crocodile During Meal.